Working on this post was one of the most emotional things I have ever had to do and I am not a very emotional person per say. I love to build relationships and I am usually attached to the people close to me…oh I digress. 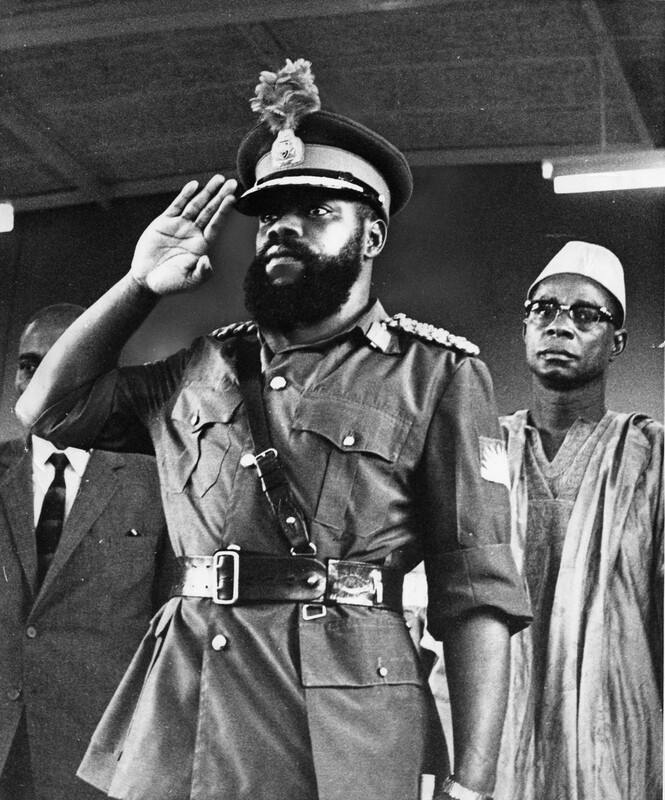 The Biafran war was a civil war fought between the Nigerian soldiers and the Igbo(eastern) soldiers led by Odimegwu Ojukwu in order to prevent the secession of Biafra from Nigeria. This war lasted from the year 1967-1970…And this is me not wanting to go into the whole sad tale. Although we can pretend that Biafra never happened, it’s just story for another day. Odimegwu Ojukwu in Nigerian military uniform. Back to my story. My father whilst in prison got regular visits from my mother. She used to walk or ride a bicycle when she could rent one just to go pay him a visit in prison. She walked or rode from Imo state to Achina in Enugu state. And whenever she walked, she would set out very early and take breaks after every five miles. On the days when my father wanted to see his children, she would rent a bicycle and ride; carrying two of her children; one in front and the other at her back. During mom’s visits to my father, she took foods like palm kernel and cooked cassava. Sometimes she took the bark of the cassava after she had dried it and made it ready for consumption. My mother also took grounded cassava balls which we now know as the modern day cassava fritters. Luxury was Pineapple…which was sometimes used as a bribe for her to visit my father. There were times she was able to take akpu(fermented cassava fufu) along with some soup for my father…she referred to these foods as treats. Sometimes, she sold palm kernels and stuffed the money she had made into the middle of the molded akpu just so my father would have money. There is this saying that the Igbo people eat a lot of leaves. Perhaps, it was from all the experiments they did with leaves at some point during starvation. During this time, everyone’s survival instincts kicked in. Things like lizards and frogs that would maybe be seen as taboos became a local delicacy. “They fed on a special kind of wheat that used to be cooked like rice. They also ate salted stock fish. “Omg MMA! This will make me remember my Mum,(bless her) for the millionth time this period. She actually taught us how they made the meal. It wasn’t much but it kept them alive during the war. She called it corn meal. Basically putting red oil ,salt,scent leaf,crayfish in grounded corn and turn till it thickens like semo. The crayfish and smoked fish she added for us to like the food when she made it for us. It was bland in every way. She Would add smoked fish to jive it up too. The catholic sister’s that gave them shelter made the meal. The chaff in the corn was good fiber source among other things. She loved it,brought memories to her each time she ate it. I enjoyed the stories she would tell eating and not the survival food. 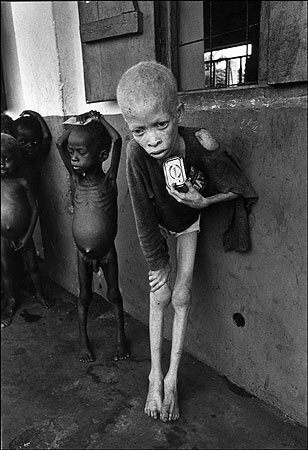 Following the stories from the war, just as much as people died from being shot with guns, plenty died due to starvation and malnutrition. I just wish we would practice the peace that we preach. Thank you to everyone who contributed to the post in one way or the other. The images used for this post were gotten from google. My family started a go fund me page for my cousin who is ill and in need of funds for surgery. You may find the link here…https://www.gofundme.com/save-henry-okwara. Please no contribution is too small. Your prayers will also do us a world of good. 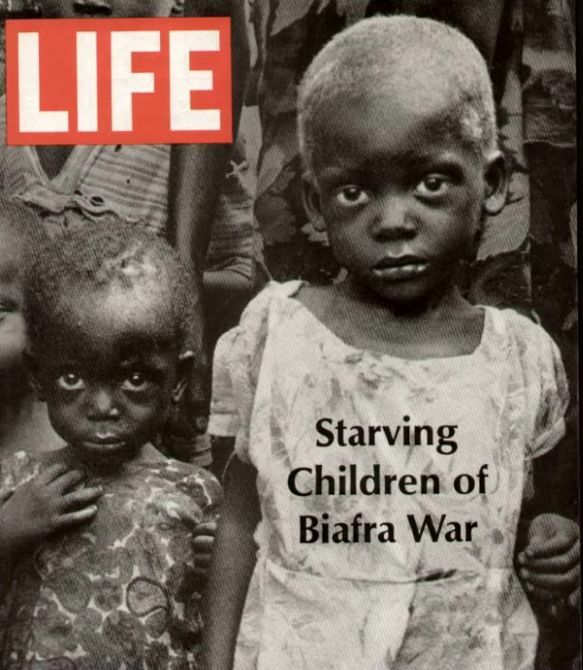 Please leave us comments in the comment section of this post and let us know of any food related stories you know about the Biafran war. 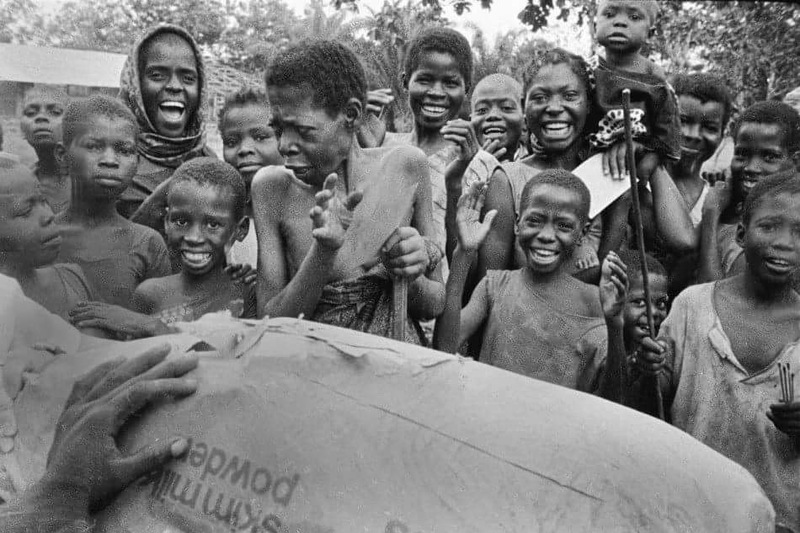 This entry was posted in Uncategorized and tagged biafran war, bianca ojukwu, nigerian civil war, odimegwu ojukwu, survival insrincts, surviving the biafran war. I pray Nigeria’s won’t have to eat this type of foods once more due to the recession.